At Rocksolid Building our commercial construction experts are the team to trust when it comes to your business premises. From renovating existing commercial buildings, to starting from scratch building up an impressive state of the art facility to accommodate your future growth and reach your full potential. 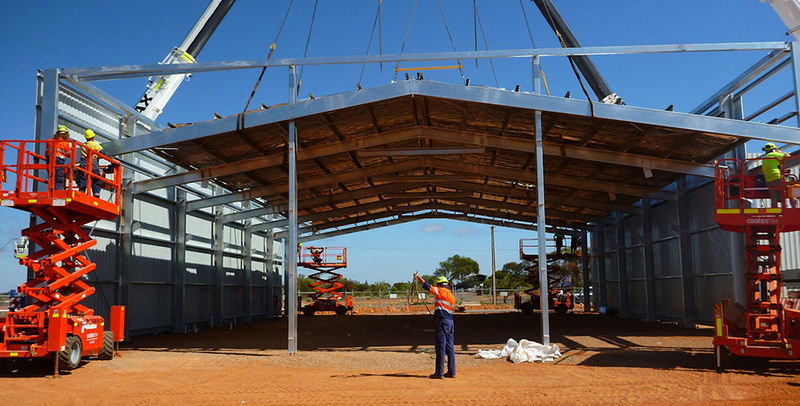 Rocksolid Building has in-house experts for construction of large commercial and industrial buildings, along with in-house civil works and finishing trades in Port Lincoln and Whyalla. We have the know how to get your job done efficiently with exceptional results. At Rocksolid Building, we take pride in being the benchmark commercial builders in Port Lincoln and Whyalla. Rocksolid Building is also a capable and experienced remote builder. We are able to take care of your remote project throughout South Australia, Northern Territory and Western Australia with in-house transport services and professional know how in remote project management and execution. We are second to none, delivering on time and on budget.